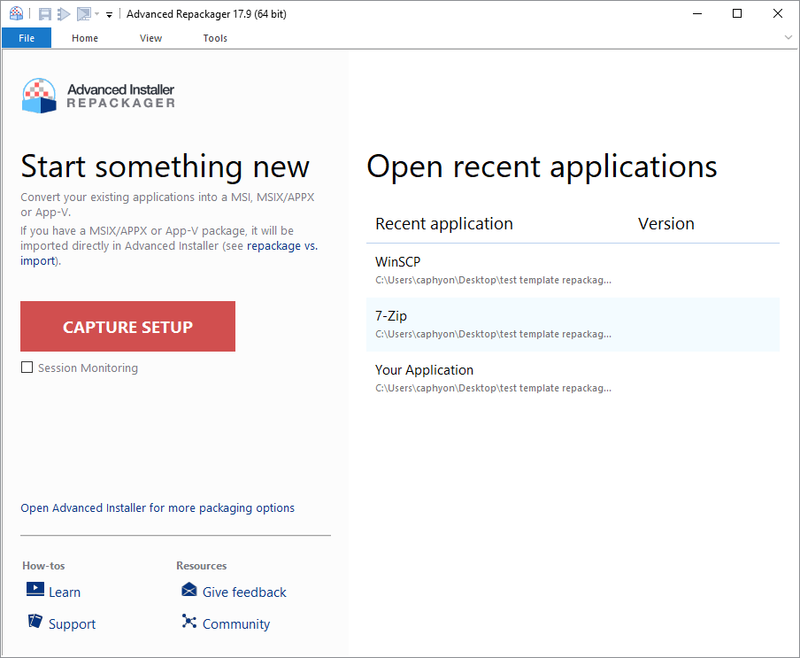 The Repackager lets you convert your application installer into a new packaging format (MSI, MSIX/APPX, APP-V). The repackaging operation consists of taking an initial snapshot of the system before you install your application and one after, then the results are imported into an Advanced Installer project where you can begin to customize the new installer. The repackaging operation doesn't modify your application. See the Repackager Tutorial for more details. Repackage installations; import installers and installer projects. Editing the profiles used for the installation in VM.